Mapping networks together at NLAPH retreat"
Since 1991, we have pioneered the field of health leadership by training, supporting, and coaching leaders to transform their communities into healthier places to live, work, and play. Since 2011, NLAPH has provided training to four-person multi-sector teams from across the country to advance their leadership skills and achieve health equity in their community. Funded by the Centers for Disease Control and Prevention, the one-year program uses an experiential learning process that includes webinars, a multi-day retreat, coaching support, peer networking, and an applied health leadership project. CaLAPH trains teams across California to address social determinants of health and to work towards health in all policies in their community. For more information please click the title above to see our program page. NLAPH Cohort 8 is off and running! For more information about NLAPH and this year's teams, visit the NLAPH program page. 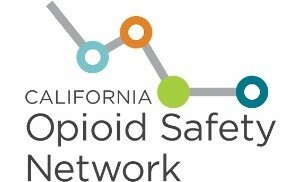 Launched in February 2018, our California Opioid Safety Network Accelerator Program provides coaching, technical assistance and networking opportunities to over 30 local opioid safety coalitions across California. Participating coalitions in California are taking their work to the next level through the program and many are also have AmeriCorps VISTA members onsite to help build local capacity. Visit our page (above) to learn more.